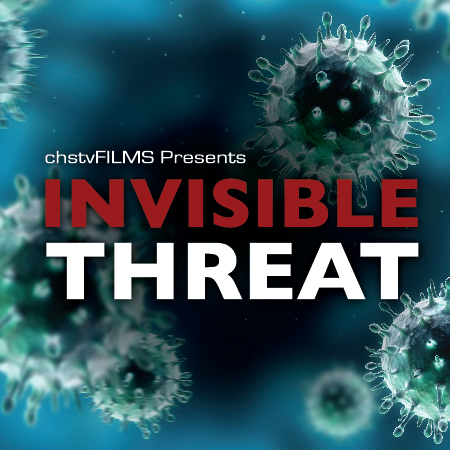 Invisible Threat is a 40-minute documentary produced by California high school students which explores the science of vaccination and how misperceptions have led some parents to make dangerous decisions. In an effort to draw attention to the national launch of the Invisible Threat movement on May 1st, we are participating in a Blog Relay. Each day a different blogger will be discussing their personal perspective of the film as part of our 10-day countdown to a kick-off event with national legislators at the Capitol Visitors’ Center in Washington, DC. Visit the Vaccinate Your Baby Facebook page for links to each blog post and visit the Every Child By Two website to find out how you can join us in this movement, arrange for a local screening, and continue our fight against infectious diseases. This guest post was written by Camille Posard, the student filmmaker who wrote Invisible Threat. Camille has since graduated from Carlsbad High School, where she was involved in the making of this film and is currently a student at UCLA. In all honesty I wasn’t very interested in making a science film about the immune system, until I personally discovered the false information that floods the internet and the subsequent firestorms created when the word “vaccine” is used. Almost three years ago an article in our tiny local newspaper mentioned our broadcast journalism club, Carlsbad High School TV (CHSTV) Films, was going to make a video clip about the immune system including how vaccines work. We hadn’t even started filming, yet the blogs prompted hundreds of ugly comments and calls. Yes, the anti-vaccine bloggers were harshly criticizing high school students doing an after school project sponsored by an unrestricted local Rotary grant. The students discuss the film at their regular staff meetings. My fellow student filmmakers and I came into the Invisible Threat project with very little knowledge about immunizations; a clean slate. That’s the point of our documentaries, we learn as we film for a more interesting peer-to-peer experience. As a result of her personal experience with Invisible Threat, Camille decides that vaccination is an important way to protect herself and others from dangerous diseases. This unique approach to documentaries makes even dry subjects more compelling than watching a bunch of old guys talking on screen. Our early experience changed the scope of the film from a 15 minute video clip explaining the immune system, to a 40 minute educational documentary that gives a complete overview of immunizations from a balanced journalistic approach. We wanted to understand the concerns of parents who are against vaccines and what was the root cause. For a film I wasn’t originally interested in making, I ended up writing the documentary and selecting the interview clips that made it into the film. What we uncovered was shocking, but it wasn’t what we originally expected and we learned that bad journalism has been part of the problem. Children are being harmed because when parents choose not to vaccinate, a gaping hole is created in the safety net that protects the vulnerable. Babies too young to be immunized, children with compromised immune systems, and those with waning immunity are then no longer protected. This gives deadly diseases, previously eradicated in the U.S., the opportunity to make a comeback. A safety net needs to be intact, otherwise it doesn’t work at all to catch any of us. Recently a kindergartner who had recovered from cancer became ill from a vaccine preventable disease when an unvaccinated classmate brought the disease to school. The parents of that classmate didn’t just make a choice for their own child. The outbreaks our great grandparents worried about are making a comeback and it’s time the professional journalists tell the in depth story and stop with the sloppy reporting. For information on how you can join the Invisible Threat movement, visit the Every Child By Two website. There you will find information about the event at Capitol Visitor Center on May 1st and how you can encourage your elected representative to attend, a toolkit that will walk you through the details of how to organize a local screening, and a social media engagement document atht will explain the ways in which you can show your support by changing your Facebook profile picture on April 24th, participating in an Invisible Threat Twitter chat on 4/30 at 7pm ET and commenting on the various blogs that are part of the special Invisible Threat Blog Relay. *All photos courtesy of chstvFILMS. Great story. Looking forward to viewing the film. I am delighted that young filmmakers have taken on this project. Congratulations to you and all the students who are involved in this film. 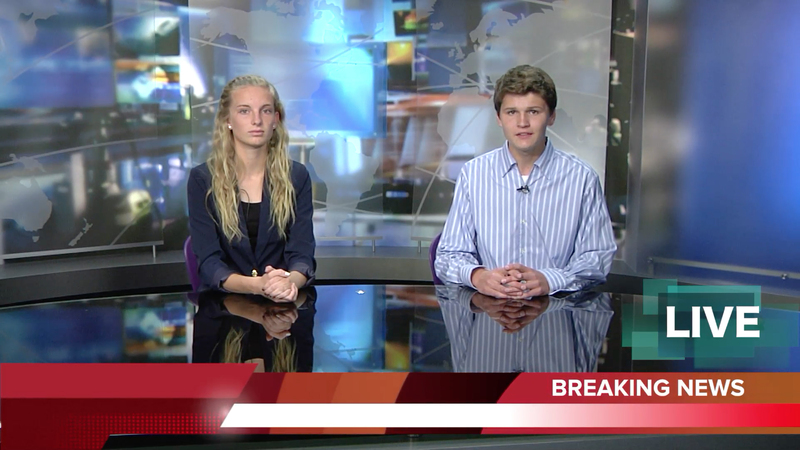 Almost three years ago an article in our tiny local newspaper mentioned our broadcast journalism club, Carlsbad High School TV (CHSTV) Films, was going to make a video clip about the immune system including how vaccines work. We hadn’t even started filming, yet the blogs prompted hundreds of ugly comments and calls. Funny, I’m only finding one crank blog that made a point of pitching a fit over it. Thank you for your bravery! I am a 30-year-old mother of two (one who was immunocomprimised as an infant) and antivax backlash has brought me to tears when I’ve shared our story and strong provaccination stance in the past. There is no way I would have had the courage to stick with this project as a teenager. I am amazed at your resilience and so grateful for the message that you are spreading. Narad: You may have only found one blog, but it’s not like anti-vaxxers don’t have ridiculous Ourobouros-esque Facebook groups where it was probably shared. Considering that the “hundreds” specifically referred to comments and phone calls, Facebook discussions certainly could be included in this. Not to mention these you haven’t subpoenaed the school’s phone records.